A Badge I Did for Each Member of the Miyazaki Mailing List Who Attended the Seattle Show. Each Badge Used One of the Graphics From Below. WARNING - Descriptions of each sequence are given in summary form. Those who have not yet seen this film, and do not wish to be spoiled, should not read any farther. When Walt Disney first conceived of the film that would become "Fantasia", it was his hope that new segments would be added with each new showing of the film, replacing individual segments until the entire film was new. Released in 1940, the public at the time did not greet the film with enthusiasm. Though the film was re-released theatrically over the next fifty years, it was always in the form as originally animated. With the coming dawn of a new century and millennium, Roy Disney decided to bring his brother's dream to fruition and commissioned Fantasia 2000. In homage to Walt's original plan, one of the original pieces, the Sorcerer's Apprentice, was kept, with seven new pieces added. Disney animators used a mixture of "traditional" hand-drawn and computer-generated animation for the various segments. To both Walt and myself, Fantasia has always been about the music and the imagery that music brings to mind. The technical aspects of the animation itself has never been that important to me - it has been the story that the animation tells that was. As great a job the original production crew did in 1940 with Fantasia, the Fantasia 2000 team nailed it right on the head in each segment. From the opening Symphony No. 5 to the ending Firebird Suite, each segment is a delightful visual story that feels "right" to the accompanying music. One area where Fantasia 2000 does fall flat compared to the original is the introductory segments. The choice of some of the guests themselves was dicey. While James Earl Jones can make anything classy, and Steve Martin was also a credible choice, having Penn and Teller was a mistake. Now, I happen to like the two, but Teller's shrill voice just seemed out of place in this film. And with our theatre timing the vocals about a second behind the movement of the actor's voices for the first half of the film (though the music and effects were perfectly-timed - go figure) did not help much, either. I am not sure IMAX was the right format for this film. While I have never been to this particular IMAX theatre, the screen was downright small. It was also square and flat, as opposed to the concave screen that wraps around to the sides and up above you. This was, essentially, a very large 4:3 movie screen - kind of like a 200" television. During the live action sequences in the "concert hall", the people looked like those on anamorphic DVDs when played back unsqueezed on a non-16:9 television - tall and thin. Now I do not know if this format of screen was a requirement for showing Fantasia 2000, which will be released in traditional theatres once the four month IMAX exclusive is done, but as an IMAX presentation, this is not the way to show off the system. Considering the design of the theatre, however, this looks like it would have to be the standard screen for it. The sound system, on the other hand, was impressive. I do not know what digital sound format IMAX uses (Fantasia 2000 supports all three), but I would probably guess Sony Digital Dynamic Sound (SDDS) since it can handle 8 separate sound channels and IMAX is supposed to be totally immersive sonically. Whatever format they were using, it was good and they had it cranked to the 105dB THX reference level. Rear-channel separation was perfect and dialogue and music were clean, clear, and crisp. 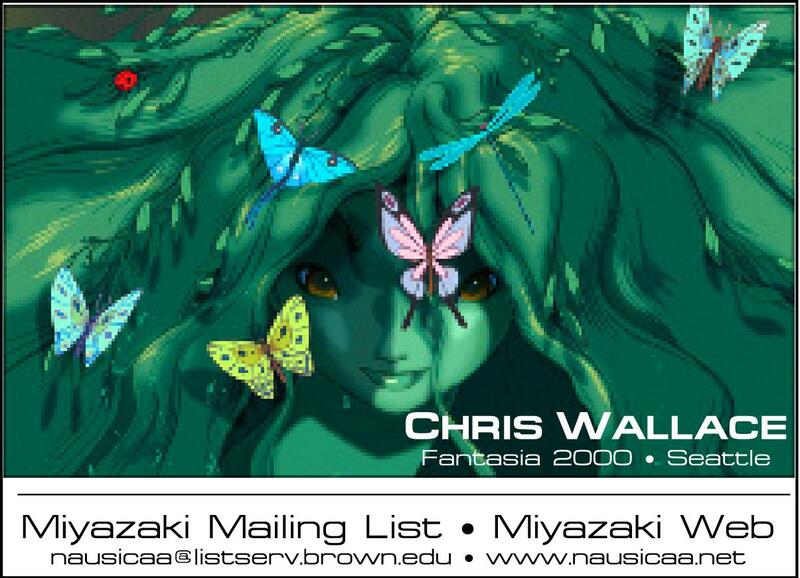 Please note that the descriptions for each sequence is taken primarily from the Fantasia 2000 website at www.fantasia2000.com and is not just my own personal interpretations of each segment, though I do write about what I felt. Set to the familiar strains of Beethoven's classic symphony, director Pixote Hunt uses abstract imagery and a beautiful pastel palette to tell this tale of good vs. evil. The story follows a great controversy between two groups of objects, differing in shape and color, and the buildup to a climactic confrontation. Using an innovative approach that texture-maps pastel colors onto traditional hand-drawn animation as well as some dazzling computer-generated effects, this fantasy takes flight. Hunt, director of ''The Pagemaster", conceived this segment and saw it through from storyboard to completion. A pod of humpback whales swims through a cold arctic sea. Suddenly, a star in the sky flashes bright as it goes supernova. Somehow, two whales know that this supernova will destroy their home, and they rise into the sky, sailing through the air like they did in the sea. Their child joins them and soon upsets a group of seagulls, which proceed to chase it. During it's escape from the angered birds, the child is lost inside a large iceberg. Unable to get to him through the wall of ice, the parents circle the giant berg. However, the child sees a shaft of light, with snow flakes and ice crystals that get caught in it floating upwards through a hole. The child enters, and is slowly lifted up and out of the berg, where it rejoins it's parents. The whale family contacts the rest of the pod, who all rise up out of the sea as the supernova glows ever brighter. They climb into the clouds and head for a massive storm cylinder (which looks very similar to the one in Laputa, to be honest). Passing through a great electrical storm, the whales emerge from below into a new sea, safe from the supernova. This film was a solid mix of traditional and computer animation. Usually, this is pretty glaring and I thought it would be even worse in the IMAX format due to it size. However, while the CGI sequences are obvious (they always are), the Disney team under the direction of Sequence Director Hendel Butoy did a good job of blending the two as much as possible. Butoy specifically came up with the idea of using whales and flight when he first heard the piece and developed a story around that. This was my favorite piece for two reasons. One, it is a great song. Two, the visuals were 100% dead-on to the "spirit" of the song. Set in Manhattan during the Jazz Age, this whimsical tale follows several diverse characters as they weave in and out of each other's lives during the course of their daily routines. Directed by Eric Goldberg, his character designs paid homage to the style of legendary caricaturist Al Hirschfeld. A story considered for production in the 1940's, Hans Christian Anderson's fairytale of the Steadfast Tin Soldier was dropped because they were unable to find a suitable musical piece to accompany it. However, Roy Disney remembered that his daughter enjoyed Shostakovich's Piano Concerto 2 as a child and suggested it to sequence director Hendel Butoy. Butoy says that he immediately knew that the music would go well with a plot he had developed for the segment. At the stroke of midnight, the toys in a little boy's room come alive. The box of tin soldiers go about on patrol, though one of them is missing the lower part of one of his legs and his attempts to keep up are provide some comedy. He meets a beautiful ballerina and, unable to see her rear leg as she was frozen in a pirouette, assumes she is also one-legged. He picks a rose to hand it to her, and is depressed when her other leg "appears" as she settles down to admire it. Suddenly, the sinister Jack-in-the-Box appears and tries to steal the Ballerina for his own. The one-legged soldier attempts to defend her, but the jack-in-the-box succeeds in knocking him out an open window and into the storm. Falling into a model boat that also went out the window, the tin soldier disappears into the sewers, avoiding a band of hungry rats only to be gobbled up by a fish. The fish is netted and sold to the family of the little boy, where he falls out on the floor and the little boy returns him to his box. Midnight strikes again, and the jack-in-the-box again attempts to win the heart of the ballerina. Again the steadfast tin soldier engages the jack-in-the-box to protect the ballerina, and this time he succeeds in throwing the jack-in-the-box into the stove, where he is consumed in the flames. The ballerina gives the tin soldier a reward for saving her. Titled "What Would Happen If You Gave a Yo-Yo to a Flock of Flamingos", this under two-minute piece was conceived by Joe Grant, who served as the head of story for the original Fantasia. It is brought to the screen by director Eric Goldberg (a dead-ringer for David Ogden Stiers) and, judging from the laughter, was a crowd favorite. Wacky and witty, it was a delightful interlude. Probably "the" signature piece of the original Fantasia, and the idea that gave birth to the feature, it is fitting that this piece about the young apprentice of the wizard Yensid who gets in over his head when he casts a spell on a broom to fetch the water for him be included as the piece from the original film. I do not know if Disney did any restoration attempt on this film (if it was even possible) or if they left it in it's original condition on purpose. Either way, it provided an interesting look at how Disney animation has evolved over the past six decades. Of all the pieces, this one did not take to IMAX at all. Blown up so large, the film grain was obvious, though the colors still were true and vibrant (though nothing like the other seven pieces, of course). Nonetheless, it is the heart of the original film and deserved to be included. Produced to give Donald Duck equal billing to Mickey Mouse, it is fitting this piece followed "The Sorcerer's Apprentice". Donald takes on the role of Noah's assistant and helps direct the loading of the Ark as the great flood approaches (note the unicorn, dragon, and harpy laughing on a hill as the others go into the ark - now you know why there are none left). During the general chaos, Donald and Daisy are separated, with both thinking the other did not make it aboard the Ark to survive the catastrophe. After forty days and nights, however, the Ark arrives on dry land and Donald and Daisy are reunited. Francis Glebas directs this segment of the film, which features rich classic-style animation. The special musical arrangement by Peter Schickele utilizes parts from four of Elgar's popular marches to create this exciting rendition. The Elk, as the monarch of the forest, breathes life to a sprite, who awakens the trees and plants of the forest from the slumber of winter. As the sprite climbs the great volcano that towers over it, she dives into the crater and approaches a rock figure hunched over in the center. She touches it, and awakens the Firebird. The Firebird rises up and the volcano erupts, spreading lava and destruction across the entire forest. The sprite tries to escape, but the Firebird catches her. Come the dawn, the land is laid waste. The gnarled skeletons of tress rise above the ash-blasted landscape. The Elk appears, and again brings life to the sprite. However, looking upon the desolation that was once the forest, she begins to weep. Where her tears fall in the ash, plants begin to sprout. She again begins her journey, as whole swaths of green appear behind her. She circles around the blasted cone of the volcano (those in the Pacific Northwest will recognize it as Mount Saint Helens) and completes the cycle of rebirth to the ending crescendo.